Don’t think the red and black combo suit your business? Don’t worry about it! We can customise the design just the way you like it. You can contact us by phone: +603 9130 5218 or email: sales@webshaper.com; and we will get back to you as soon as possible. 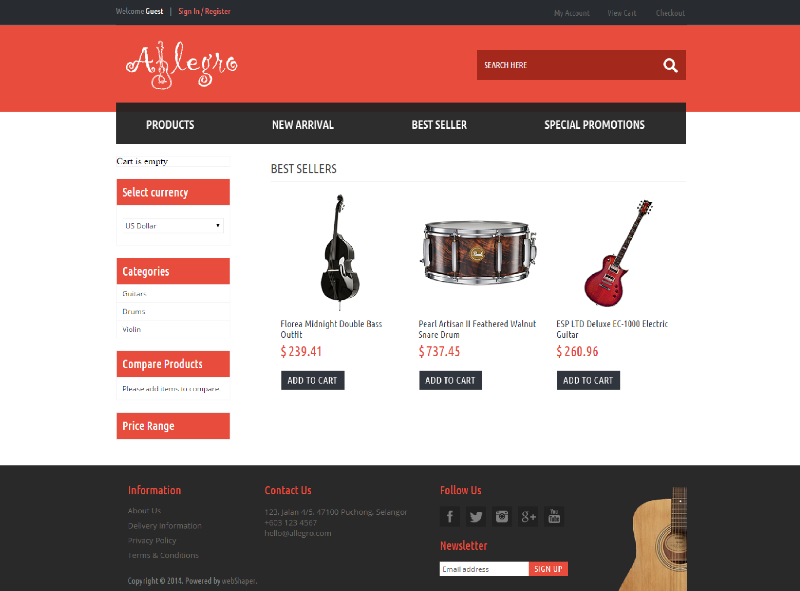 Like this funky look on your eStore? Why not try out webShaper for free? 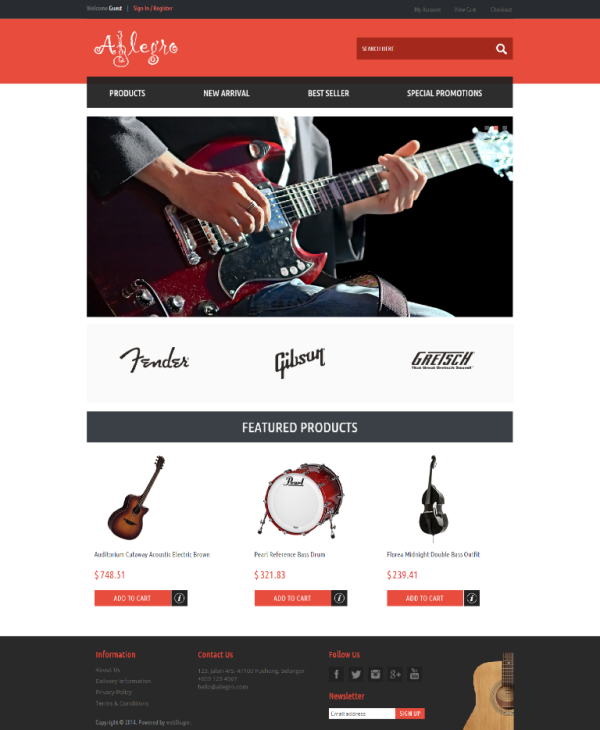 Wanna share this website design with your friends?